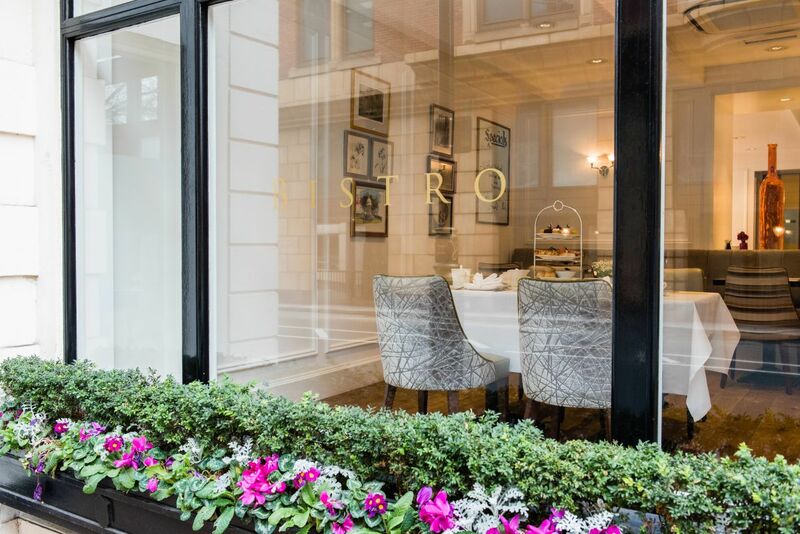 Having undergone a modern yet classic refurbishment in 2017, Bistro's elegance is perfect for a romantic dinner for two after a day of sightseeing. The brand-new seasonal menu is full of fresh, locally sourced produce and includes delightful dishes such as a traditional London platter, comforting Indian favourites and desserts to surprise and indulge in. 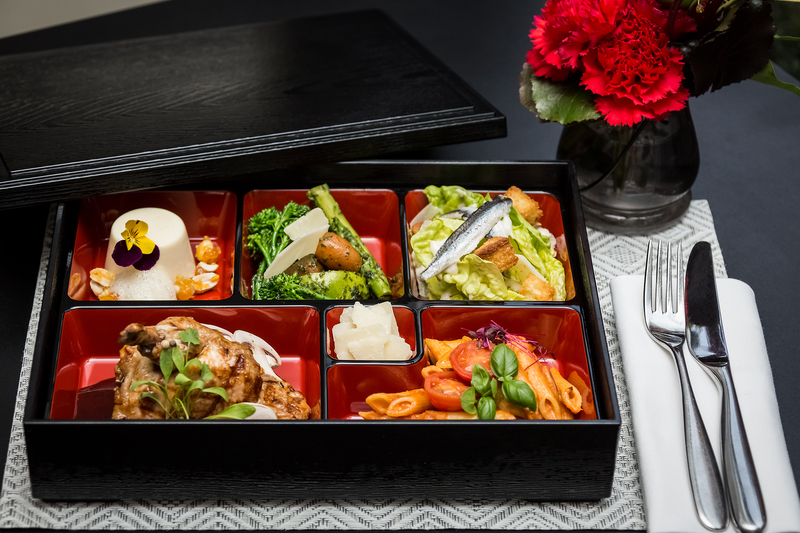 The Global Bento lunch express menu offers a mouth-watering choice of six International three-course meal selections, all served in less than 45 minutes - ideal for groups looking for a timely lunch with an excellent value. The Pre Theatre menu offers two and three-course meals to all theatre goers between 5pm and 7pm daily. Being so close to some of London's most popular theatres and musicals like Hamilton, Wicked and School of Rock, it's a must try. £24.95 with a glass of house red or white wine or a draught beer. Grabbing abite to eat at lunchtime with your colleagues, friends or family need not mean a soggy sandwich! Our delicious express Bento Menu selection means that you can have a tasty meal, enjoyed in our beautiful restaurant in an affordable and timely fashion. Deposits must be paid within 7 days after booking made to secure the booking or the space will be released, failure to notify us of cancellation or within the cancellation notice period deposits will not be refunded. A discretionary service charge will be added. Indulge in a traditional English afternoon tea, just minutes away from Buckingham Palace. £25 including selection of teas and coffee. Savour classics such as Scottish salmon, dill cream cheese and caviar on toasted brioche; rosemary-scented tenderloin minced pie; honey-roasted chicken salad, watercress and piccalilli on sundried tomato bread and the ever-so-popular cucumber, oak smoked cheddar and tomato chutney on beetroot bread. The sweet temptations include chocolate and vanilla Battenberg cake; raspberry Bakewell tart; Victorian Red Velvet pastry; honeycomb and custard roulade alongside the traditional scones with Devonshire clotted cream and strawberry jam. 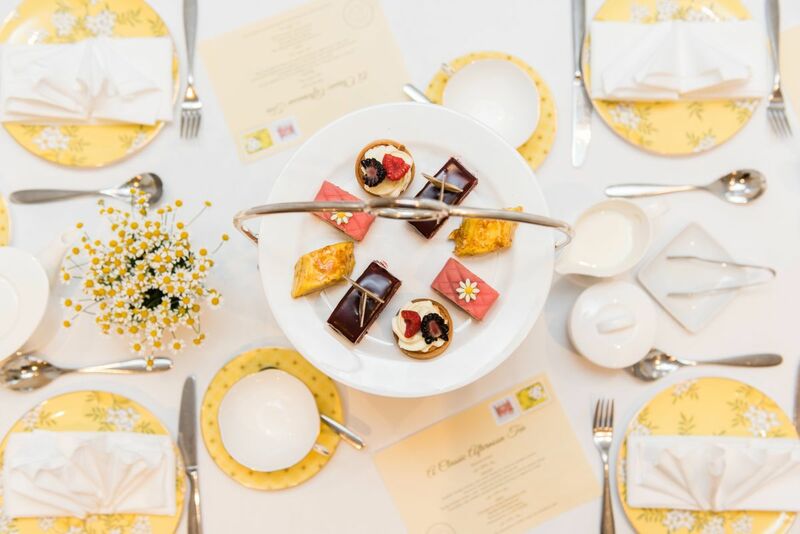 The tea is served in carefully selected fine bone china sets from the Wedgwood’s Tea Garden Lemon & Ginger collection, featuring a beautifully bold lemon coloured backdrop adorned with delicate florals and gold accents – the perfect imitation of the lemon-and-ginger tea flavour. Vegetarian option of this menu is available upon request.